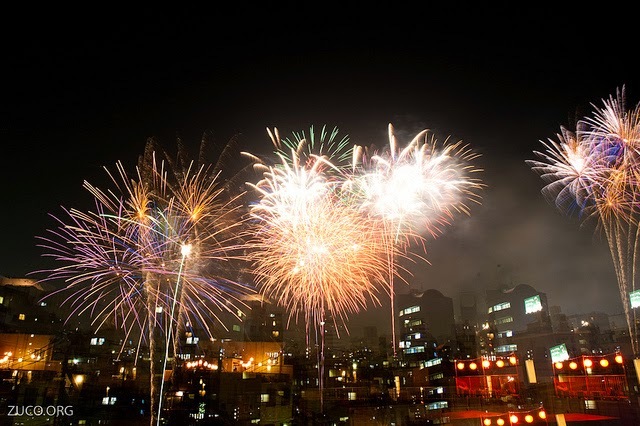 Summers in Japan are practically synonymous with spectacular fireworks shows, but perhaps the largest and most popular of all is the Sumidagawa Fireworks Festival held in Tokyo. 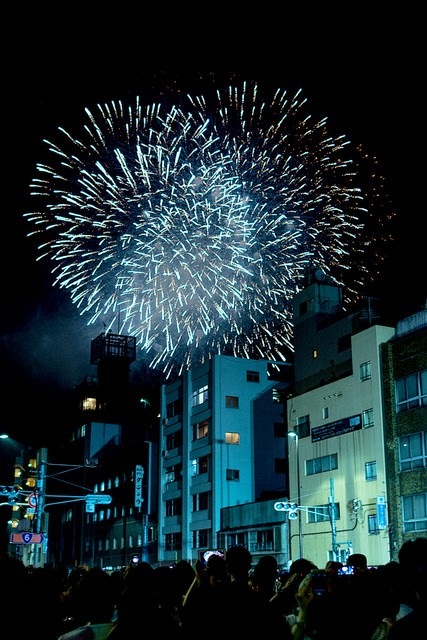 Held on the last Saturday of every July, along the banks of the Sumida River, this festival dates back to 1733 and initially began as a competition between two neighbouring areas and their rival pyrotechnic teams. While this competitive spirit has since faded, the tradition of using two separate sites to launch the fireworks remains. 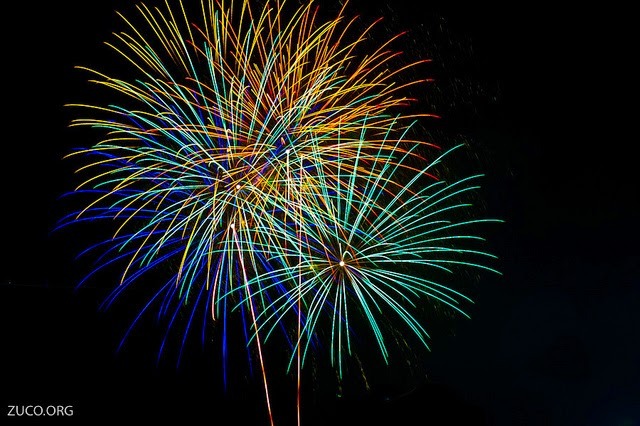 Now held annually, the festival features a dizzying array of over 25,000 different coloured fireworks set off in many different patterns and character shapes. This festival draws a mammoth crowd to the city – approximately one million people arrive in Tokyo on the day of the event. Many will come as early as lunchtime to claim their spot for the spectacular sights to be seen later that evening. And while there are many great locations to take in the fireworks, the most coveted are on the traditional wooden rafts that float on the river; those that are lucky enough to snag one of these actually have the rare opportunity to view fireworks from both launching sites! Have you been lucky enough to witness this festival firsthand? Tell us about it in the comments below; we would love to hear from you!